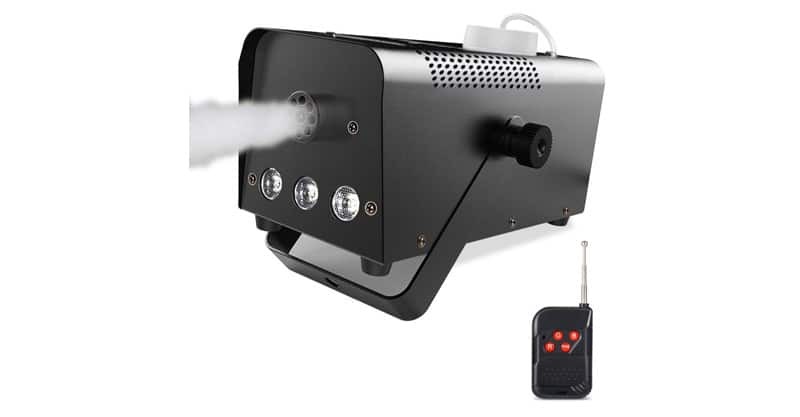 Looking for a top fog machine for your next event but aren’t sure which to get? No problem, in this article we’ll compare the best ones! Naturally, fog machines aren’t all created equal, and room size can certainly be an important consideration when you’re looking at buying one. Budget can also be an important factor, especially if you don’t have a big budget. But I’ll talk more about what to look for in a fogger later. First, let’s look at six of the best fog machines available to buy. What Should I Look For In A Fog Machine? What Is Live Music Production? 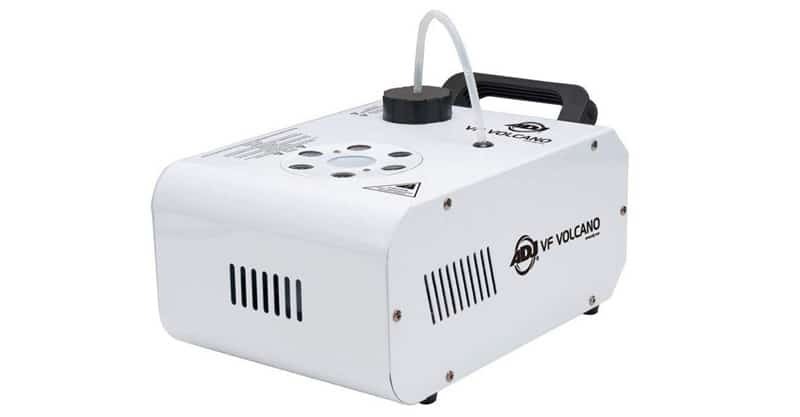 The VF Volcano is a 750W professional vertical fog machine with six three-watt LEDs, a high-performance pump, carrying handle and Electronic Thermo Sensing (ETS) technology and two operational modes – manual and remote control. Vertical fog machines are generally more expensive, but this ADJ is an exception to the rule, and is more on the affordable side. As with the MARQ, the ADJ comes with RGB LEDs and an 8,000 cfm output. 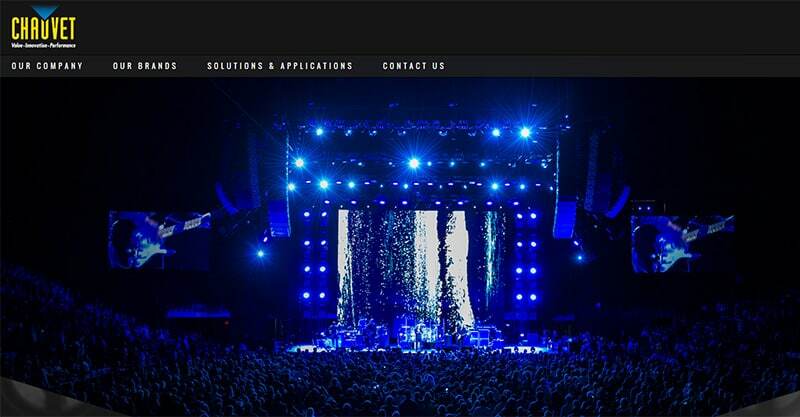 This makes it a great unit for smaller venues or mobile setups. For the most part, customers have been satisfied with their purchase, so the VOLCANO is worth a look. Perfect for all types of parties, the 1byone fog machine has 400 watts of power, a 2,000 cfm output, is easy to use and non-toxic, and is built with aluminum. Reportedly, this unit will pump out a dense fog that will linger in the air for a long time. It is very portable, and it comes with a carrying handle. Although it is marketed as a fog machine for holidays, parties, weddings and Halloween, it would be just as effective for DJ parties. 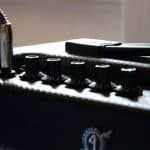 The reviews are quite good, and it is a rather affordable piece of gear. But again, don’t expect top of the line performance at a lower price point. 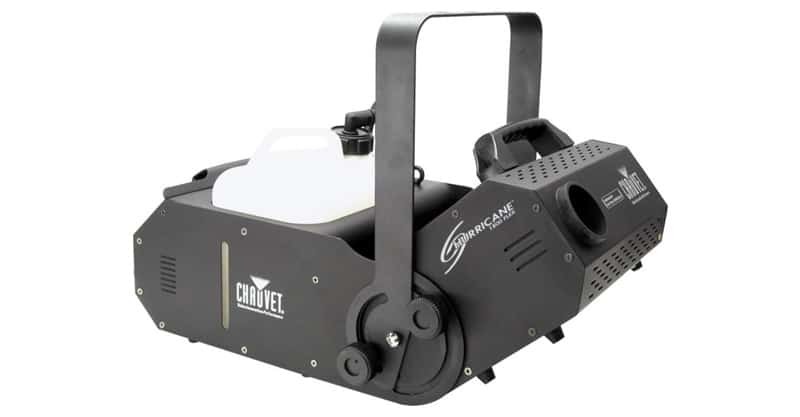 The Chauvet Hurricane is a one-channel DMX-512 flexible fog machine with manually adjustable output angles, three-pin and five-pin DM connections, wired timer remote and manual fog button. Some consider the Hurricane one of the best products on the market. Its output is 25,000 cubit feet per minute (or cfm), which is quite high, so this shouldn’t come as a surprise. Some customers have had issues with the Hurricane, so it’s not the perfect solution by any means. But overall, it’s a simple unit with plenty of power. 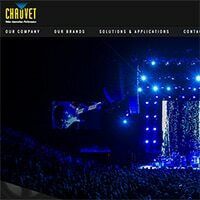 If this isn’t exactly what you’re looking for, there are also other Chauvet units worth looking at, so do a bit of looking around and you’re sure to come across a machine that’s better suited to your needs. 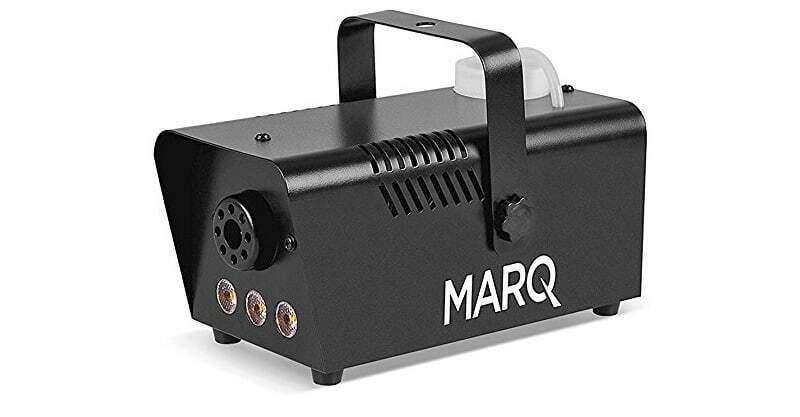 The MARQ Fog 400 LED is a surprisingly affordable fogger with 400W of power, wired push-button remote for user activation and colored LEDs. It even works with water-based fluids. The MARQ unit also comes in four colors: black, blue, red and white. If you’re on a tight budget but want the added excitement of a fog machine with built-in lights, this is a great little unit. This fog machine heats up in about three minutes and is easy to hide if you want to add a little surprise to your set. Another great thing about the MARQ is that if you have a little more of a budget, you could easily multiple units for added excitement. And this might be the best way to take advantage of the product, because its cfm is a modest 1,500. The Theefun is another cost-effective unit with three LED lights, wireless remote, durable aluminum body and simple operation. 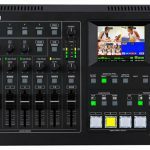 It has enough power to fill a garage or an apartment room, so that should give you an idea of whether it will work for your upcoming gig. Additionally, it’s a small fog machine, so you can hide it or keep it tucked away. Reviews for the Theefun are respectable, but in this instance, you basically get what you pay for. Don’t expect it to be the best fog machine you’ve ever seen in action. Yet another affordable fog machine, the RockJam Lightshow tops the list of some critics reviewing fog machines. 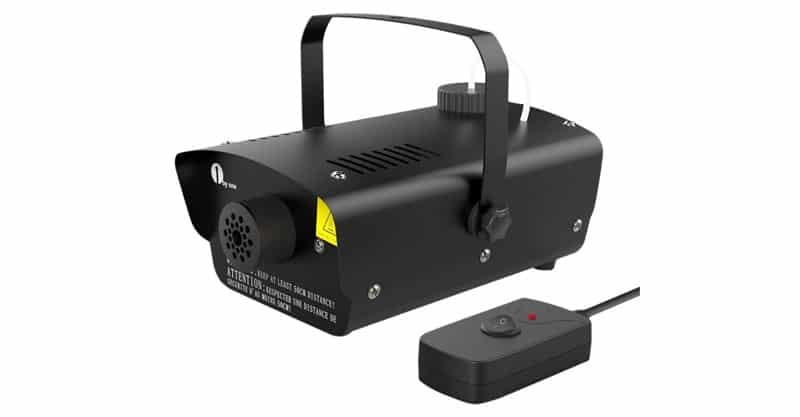 This is a 400-watt fog machine with alternating multicolor LEDs, one liter of fog liquid, and is lightweight and compact to boot. This could be a great option for you if you like having all the necessities bundled together in one convenient package. Customer reviews for this product are respectable. But one thing you should know is that the RockJam requires manual operation. It won’t do anything unless you hold the button down. Also, the lights flash in random patterns, and you don’t have much control over that. I’m not sure if it deserves a top spot on anyone’s list, but the RockJam is still a worthy entry on this list. Different fog machines will be right for different situations. It depends a lot on the room size, what kind of effect you hope to achieve, as well as how much gear you can realistically carry around with you. So, here are a few things I would look at if I was thinking about buying a fog machine. You’ve probably noticed the mention of cfm and the overall fog coverage a machine produces throughout this guide. Even if you buy a more affordable unit, and you find that it doesn’t quite offer the output you need, you can always augment its output by purchasing more machines like it. It doesn’t need to cost you a lot. 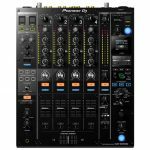 But if you’re playing bigger rooms, it’s probably best to start out with a unit like the Hurricane and judge whether it’s good enough for your needs. If you’re playing smaller rooms, one or two smaller fog machines might be enough. Coverage may well be one of the most important factors to consider when you’re looking at purchasing a fog machine. So, think carefully about where you’re going to be playing. Another key factor with foggers is operation. How easy is it to use? How much manual work does it require? Does it cut out intermittently? Does it function flawlessly in the way you need it to? As a performer, you can’t necessarily be bothered to be constantly holding a button down or turning your machine on and off. If you don’t have a tech who’s working with you, you’re going to need a lot of this to happen on autopilot. At the very least, it needs to be very easy. Some machines come with remotes, either wired or wireless. Wireless is probably ideal for most situations, especially if you’re going to be operating it yourself. Essentially, the more you spend, the more autopilot operation is going to be. At first, you may not be able to afford a lot, and that’s okay. Just be sure you’re aware of how to get the most out of your fogger while you’re performing. 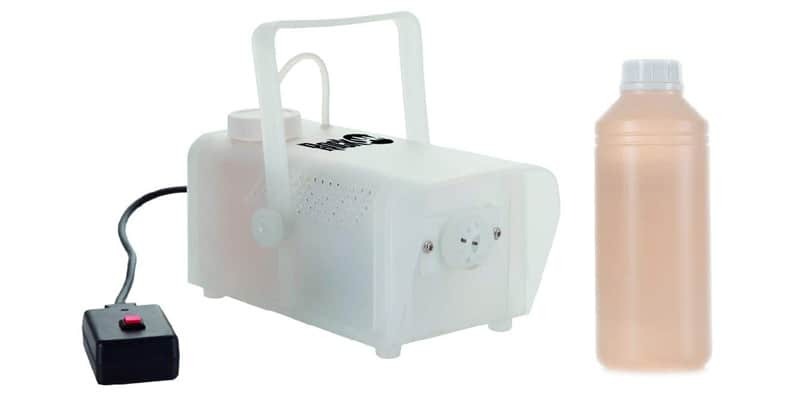 Smaller fogger units tend to be more affordable and portable. And, if you end up needing more fog, it’s not going to cost you an arm and a leg to add another machine of its kind to your kit. Larger units are often more powerful and are designed for larger rooms. While this makes them more durable, they’re going to cost more money too. Ultimately, it comes down to your needs and the money you can realistically allocate to a fog machine. I would suggest buying within your means. Not all fog machines are portable in the strictest sense, though some mentioned in this guide are. But regardless of how heavy or light it is, there’s a good chance you’re going to be carrying your fog machine(s) from venue to venue. So, to me, durability would be an important consideration. It’s always a good idea to buy cases for any gear you’re going to be carrying from gig to gig. But whether the gear holds up to a bit of abuse is still key. After all, it might get tossed around a bit, or just roll around in the back of your car as you’re traveling. Check the reviews to see whether the machine you’re thinking about buying is solid. Ideally, you don’t want it breaking after a few parties or gigs. I’m a big believer in live music production. Every day it seems like new musicians hit the stage hoping their performance will connect with the audience they’re entertaining. Sometimes it does. Many times, it doesn’t. But that’s just a normal part of being a musician, right? Sometimes you have good shows, sometimes you have bad shows. Sometimes the audience connects with you. Other times, they outright ignore you. You may call me crazy, but I’m here to suggest that’s not normal. Every show you play should help you advance your career, even if it’s just making one new fan. But really, you should be signing up lots of people for your email list and making lots of merch sales at every show you play. Well, it all comes back to the variables you can control. You can’t control how many people turn out. You can’t control the weather. And, if people are more interested in a sporting event (i.e. the TVs in the bar) than they are in your performance, tough luck. 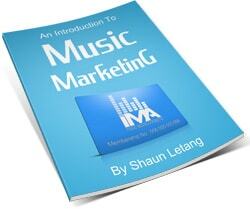 What you can control is how much marketing muscle you put behind every performance. You can practice and prepare your live show. And, you can purchase tools and gear that will help you look and sound your best every time you play. Similarly, a live music producer will help you identify the strengths of your act and show you how you can emphasize those to bring your performance to life. Your best bet is to hire a coach to help you with this process. But it is possible to determine steps you can take to enhance your show on your own. For instance, you could film yourself performing, watch the video, and systematically identify your good points and things you could work on to improve your live show. What does all of this have to do with fog machines? Well, this is where gear can make a big difference too. Moving around on stage and developing a stage presence can go a long way towards engaging your audience. But sometimes, professional DJs and musicians end up being tied to their instrument or mic, unable to do much moving around. That’s where things like lights and fog machines can offset your lack of movement. Fog machines don’t necessarily cost a lot, yet they can do a lot to build excitement at your live shows. They are worth the money if they can help you engage your audience. Remember what I said about live music production. If moving around on stage or developing a stage presence is a challenge for you (or your band), then you need all the help you can get. Lights, fog machines, screens and other kit can help make your performance more exciting and interesting for onlookers. And, make no mistake about it – your performances are for your fans as much as they are for you. Fundamentally, it all comes down to having fun. If you aren’t having fun on stage, why will people sit around and watch you? Your passion should come across as you’re making music. People should be able to see from your body language that you genuinely care about what you’re doing and the music you’re sharing with them. So, if a fog machine is the next logical step for you to enhance your live performance, go out and find yourself a machine and start getting out there!